So you've decided to take a cruise and you're looking at all the cabin types and options. It can be overwhelming as there are lots of different choices. At UNIGLOBE Travel we're here to help. Interior cabins are the most affordable. After all, you're on a cruise, visiting a different port everyday so you won't be in your cabin very much right? But consider that most interior cabins do not have windows so if the view is important to you, you're better off choosing an Oceanview or Balcony. Oceanview cabins are similar in layout to Interior Cabins but have a large window. Balcony cabins are slightly larger with a sliding glass door out to your private patio. If your cruise itinerary includes days at sea a balcony cabin lets you enjoy the scenery and fresh sea air without having to leave your cabin! These cabins are on the higher floors allowing you a better view. Premium Veranda and Suites are larger in overall size than a Balcony cabin, giving you more space and more amenities. Some of these premium cabins come with a private butler, access to the spa, and special perks for booking like a free WiFi or beverage package. While they are higher in price, these cabins come with lots of extras! Just like on airlines there is a choice and sometimes paying a little extra can make all the difference in comfort, convenience, and enhance the overall experience for your vacation. 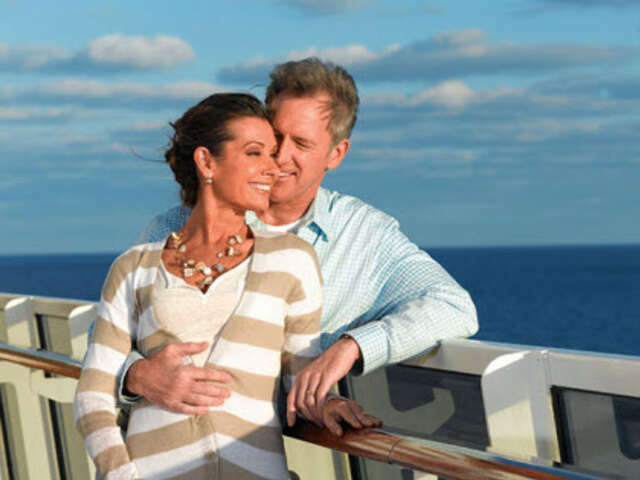 Give your UNIGLOBE Travel Consultant a call today to talk about our great cruise offers!